Located in Copalis Beach, Beachwood Condos & Resort is a 1-minute drive from Griffiths-Priday Ocean State Park and 8 minutes from Ocean City State Park. The front desk is staffed during limited hours. Free self parking is available onsite. 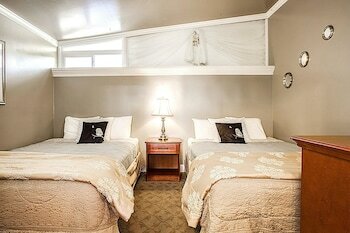 Laurie Christian Vacation Rentals offers accommodations throughout the area in Ocean Shores. The front desk is staffed during limited hours. Free self parking is available onsite.